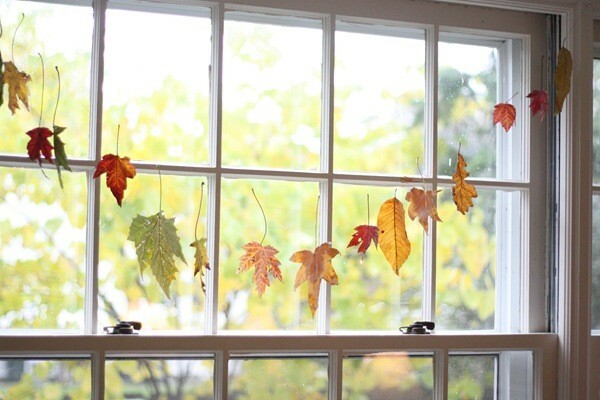 Autumn is here and you don’t want it to be a drag, do you? 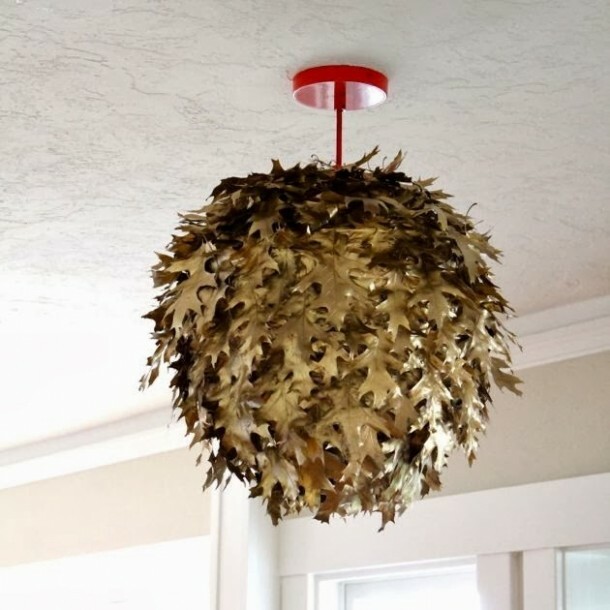 So instead of raking up fallen leaves like the boring drill that it always has been touted as, check out our guide of what you can do with fallen leaves this fall. 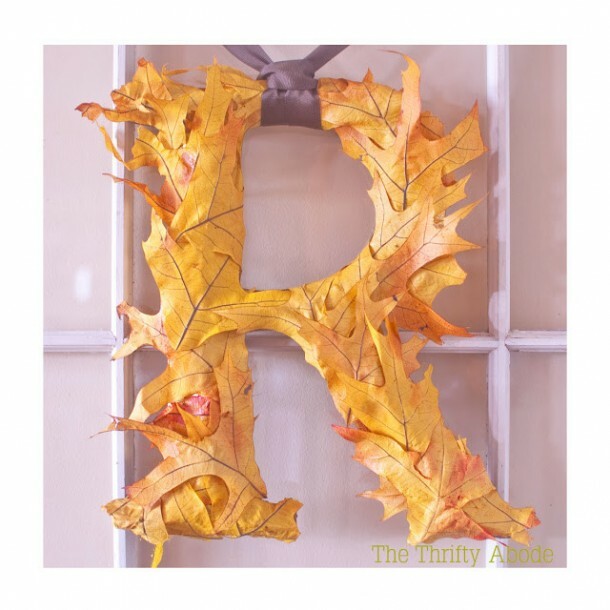 Let us know what you think of this amazing and creative list of DIYs. 19. Check out the wind chime-esque ornament! 17. 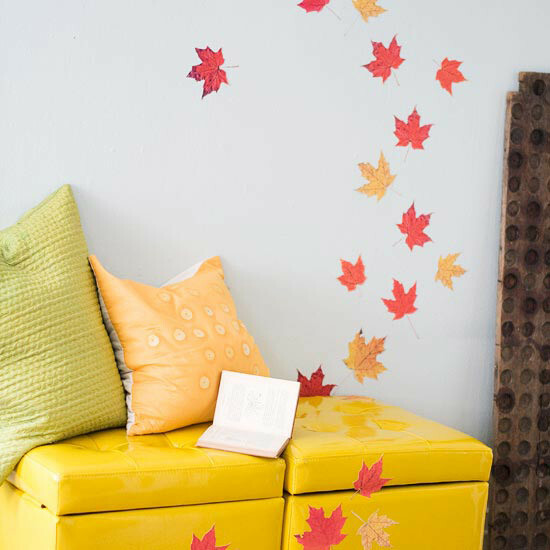 Taping some leaves to a small nook can allow for a temporary fall upgrade. 16. 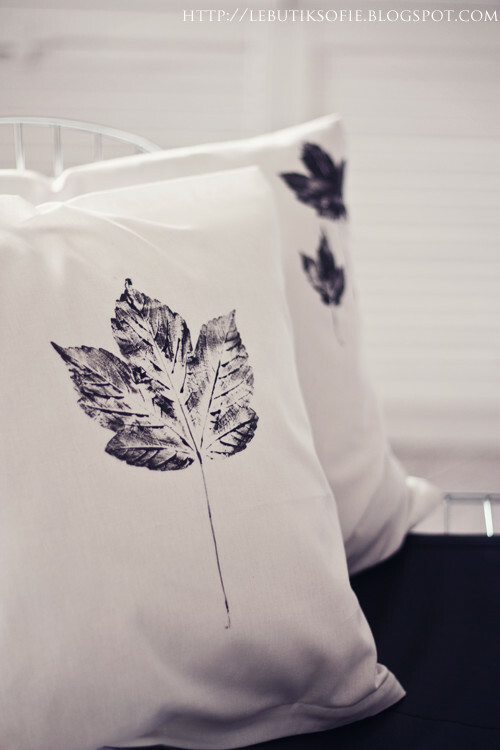 Check out the amazing leaf pillows. 15. 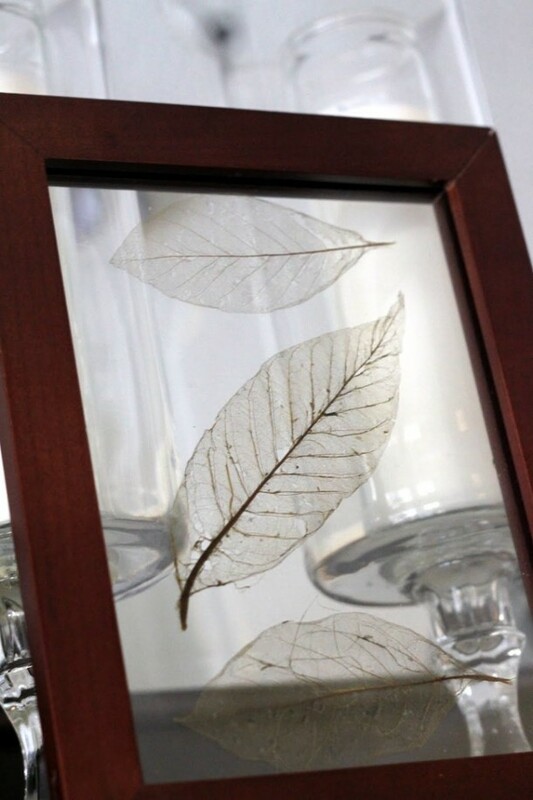 The skeleton leaves look wonderful. 14. 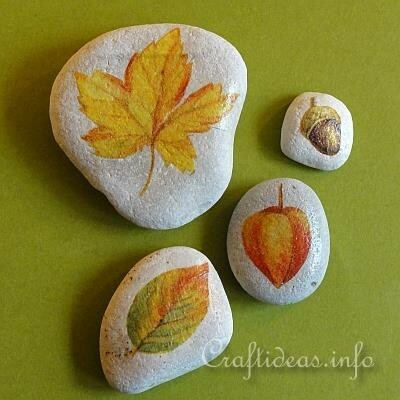 Leaf stone art is remarkable. 13. 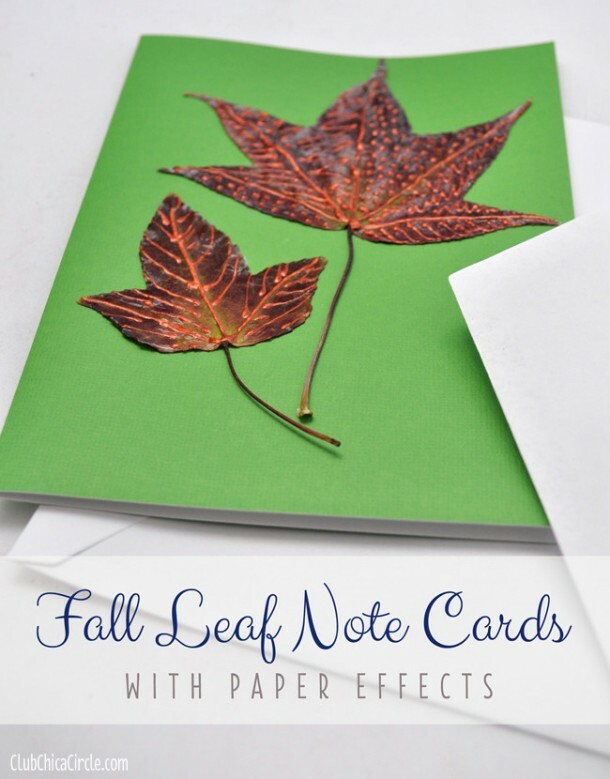 Make use of custom leaf cards to send a heartwarming note to your loved one. 12. 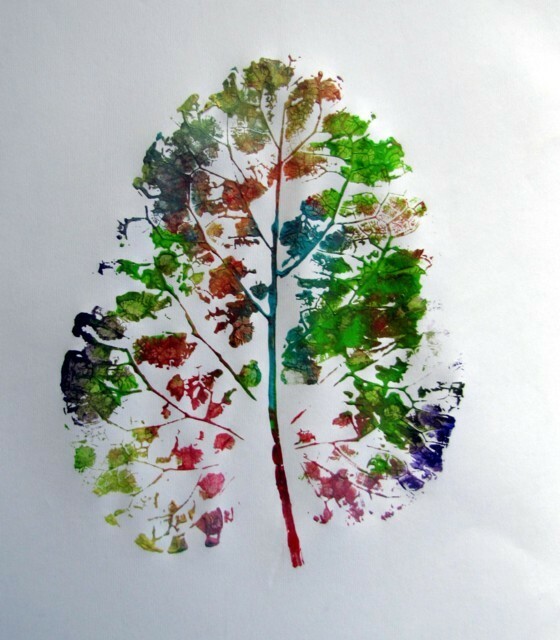 Big leaf print looks stunning on your wall, doesn’t it? 11. 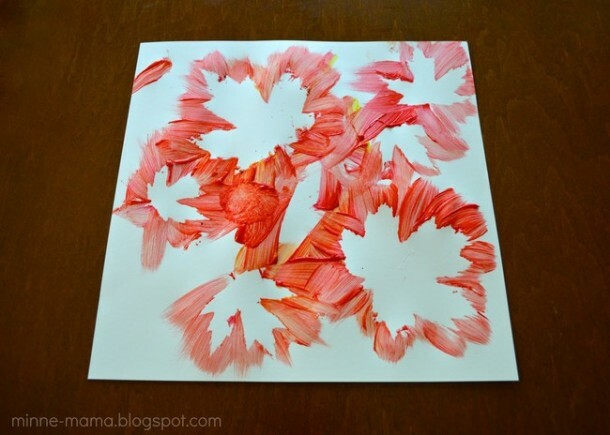 These kid-friendly paintings are amazing. 10. 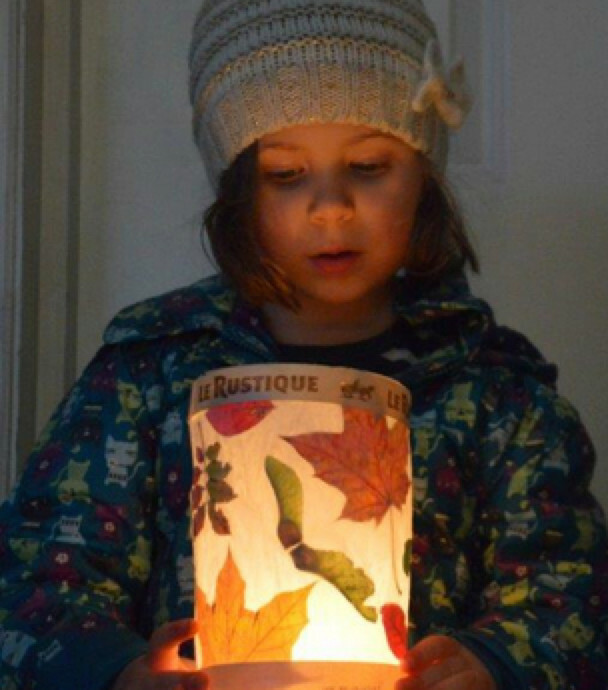 Paper leaf lantern is a project your kids can help you out with. 9. 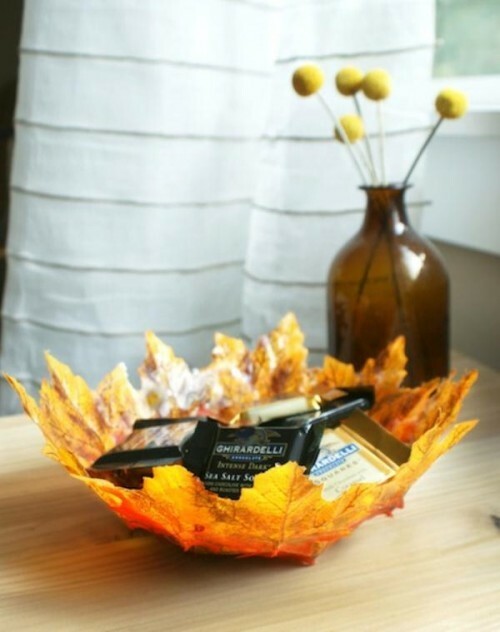 Make use of a big bowl for showing off fall’s true colors. 8. 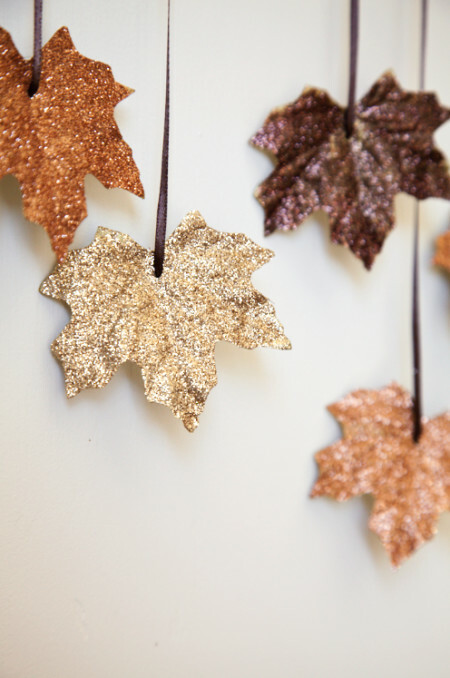 Glitter leaves are another variation of fall leaf garland. 7. 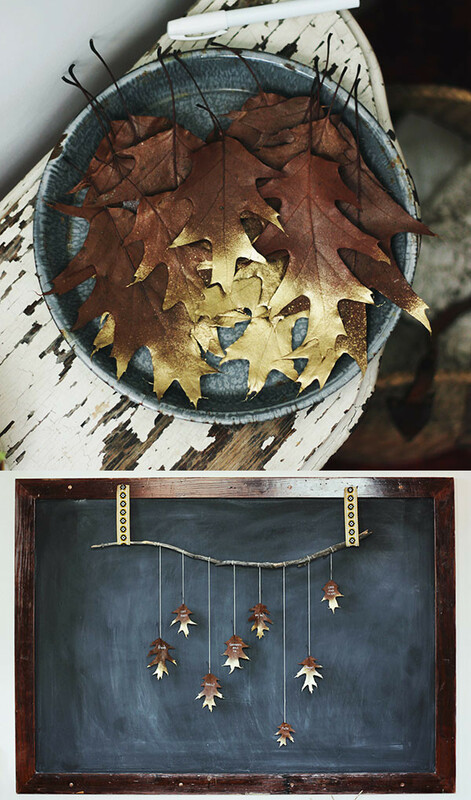 Add some creativity to the wreath! 6. 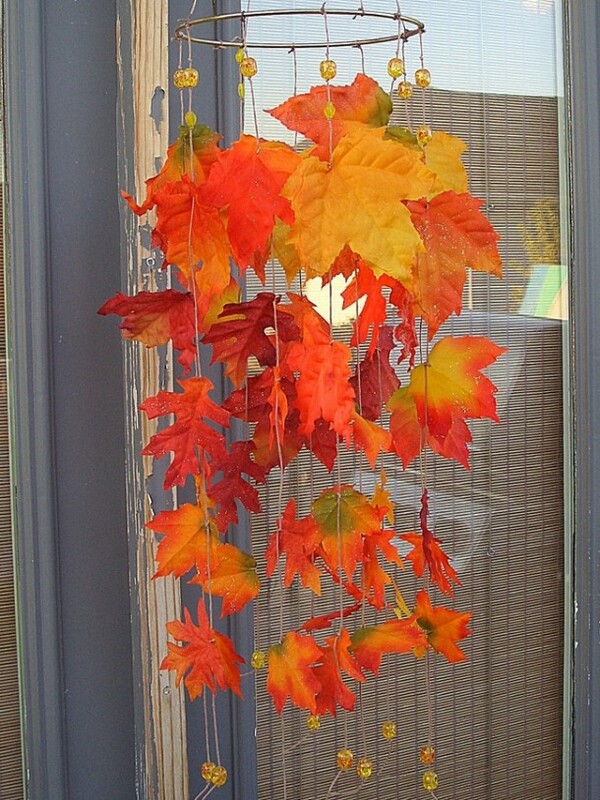 Painting them bright hues and then hanging them in rooms works fine as well. 5. 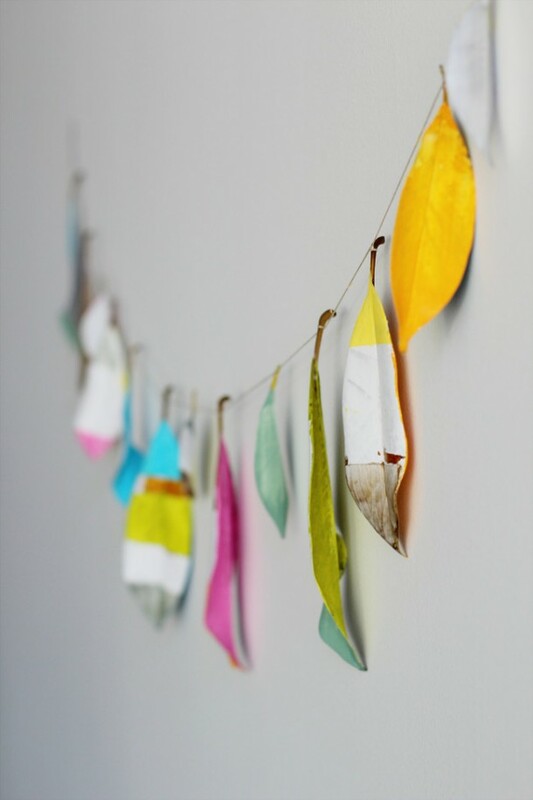 Gold-tipped leaves can work as mini-notes and can be hanged on a garland! 4. Got a spare mason jar? 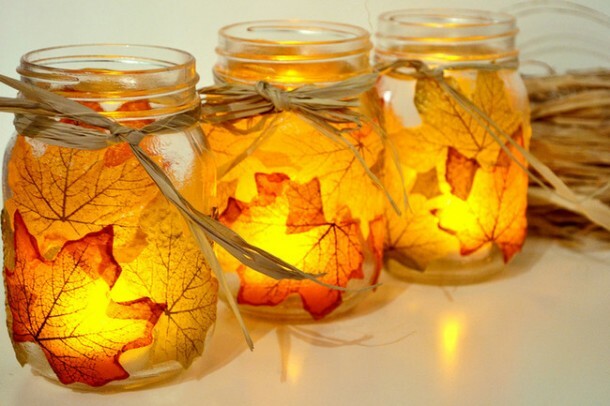 Create votives! 2. 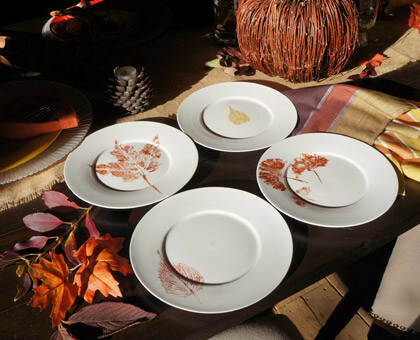 How about crafting these amazing plates? 1. 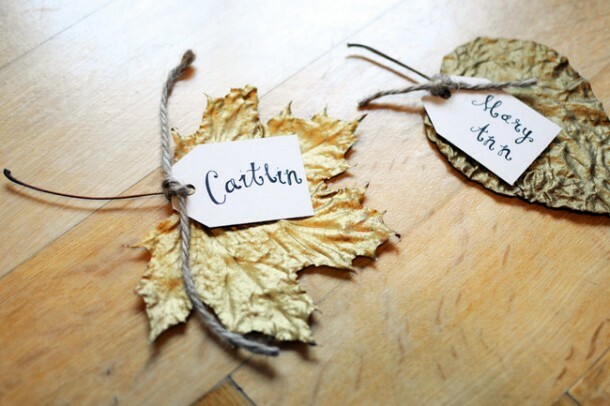 Cute place cards are best for the fall party.